How do you design and implement a safe and successful migration from an older version of SQL Server to SQL Server 2017 with no data loss and virtually no downtime? What if you have a limited hardware budget for the upgrade effort and you are worried about the core-based licensing in SQL Server 2017? How can you choose your hardware wisely in light of the new licensing model? How can you convince your organization that the time is right to upgrade to SQL Server 2017? This session will cover several different methods for migrating your data to SQL Server 2017 while meeting these objectives and minimizing your hardware and licensing costs. I will also be covering some SQL Server 2019 considerations in this session. This is a fun session that I really enjoy presenting. I think this subject is especially relevant with the upcoming end of extended support of SQL Server 2008/SQL Server 2008 R2 and end of mainstream support for SQL Server 2014, which both happen on July 9, 2019. I honestly believe that CY 2019 is going to be an ideal time for many organizations to migrate from legacy versions of SQL Server (SQL Server 2014 and older) to a modern version of SQL Server (SQL Server 2016 and newer). This is because you will have the opportunity to upgrade your entire data platform stack with significant new releases, including new processor families from Intel and AMD, wider availability of Intel Optane DC Persistent Memory, a new server operating system release (Windows Server 2019), and a new SQL Server release (SQL Server 2019). BTW, if you are going to a Tuesday pre-con session at PASS, you should strongly consider Kimberly’s Query Performance Problems from Estimates, Statistics, Heuristics, and Cardinality. I have more information about why this session will be a great choice here. 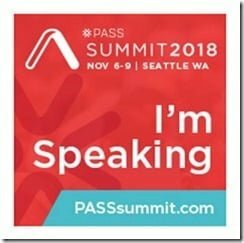 You can register for the PASS Summit 2018 here. Thank you Glen for presenting at PASS Summit. I really enjoyed your talk and found the information that you presented very detailed and enlightening. 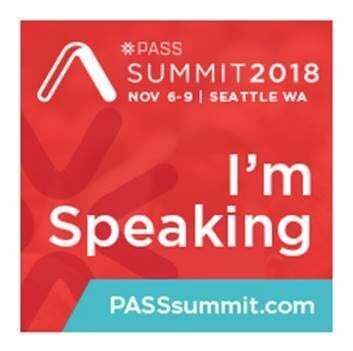 Not really sure where to find the materials you said would be available but I am assuming that I have to wait for the official PASS Summit link to go out? Looking forward to looking over the documentation that you have put together. I am waiting on PASS to approve the deck and demo scripts that I uploaded. In the meantime, you can send me an e-mail, and I will send you the materials directly.